Celebrating success with a childhood memory…. My elder turned 18 this January. He secured admission to the college of his dreams in the City of Dreams this week, and on the first merit list too!! 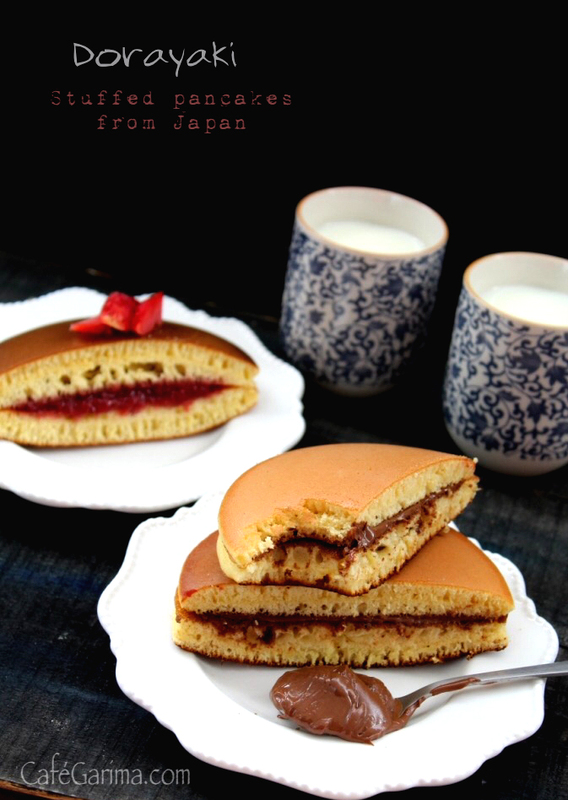 As the birdie gets ready to fly the nest, we relive some sweet childhood memories with this ‘Dora Cake’ or Dorayaki. 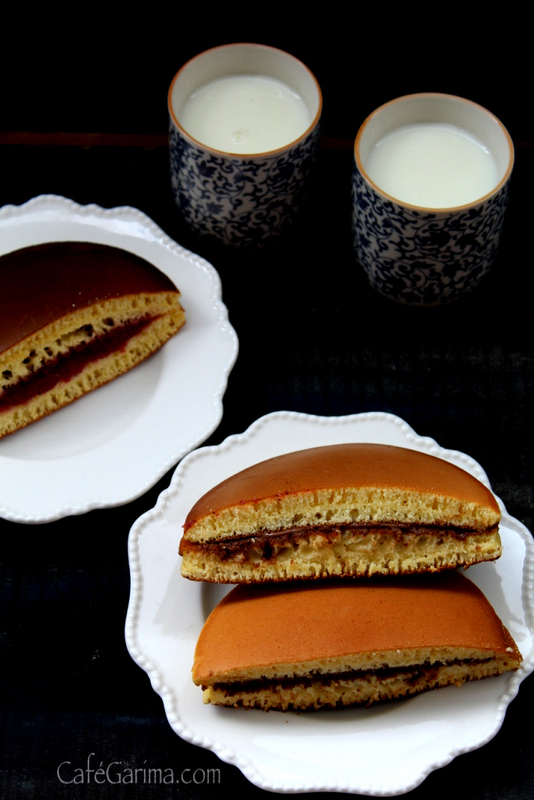 Dorayaki ((どら焼き) are silky, golden, fluffy pancake sandwiches from Japan. My boys, when they were little, loved watching a Japanese cartoon series called Doraemon. The protagonist, a super cat-robot (who is petrified of mice :P), is completely in love with this sweet treat and would do absolutely anything for them! The recipe is from Namiko Chen’s blog Just One Cook Book. 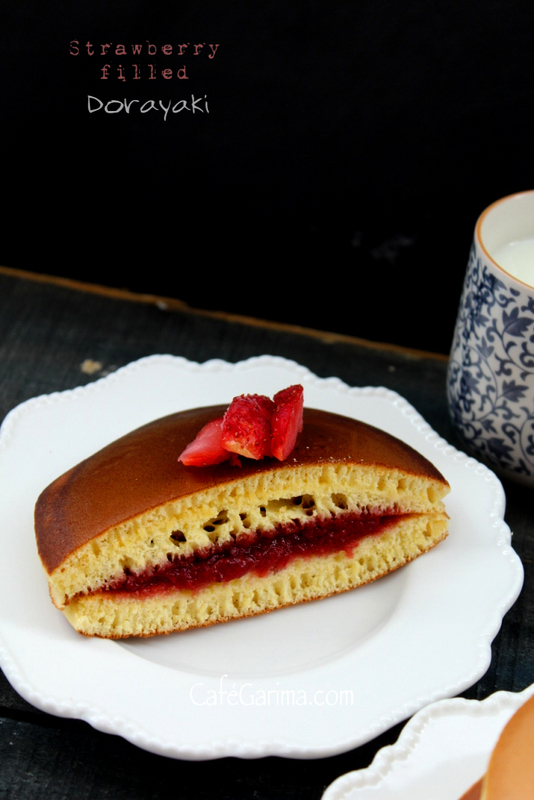 Her site has some lovely Japanese recipes. This yields 12 pancakes and 6 pancake sandwiches. 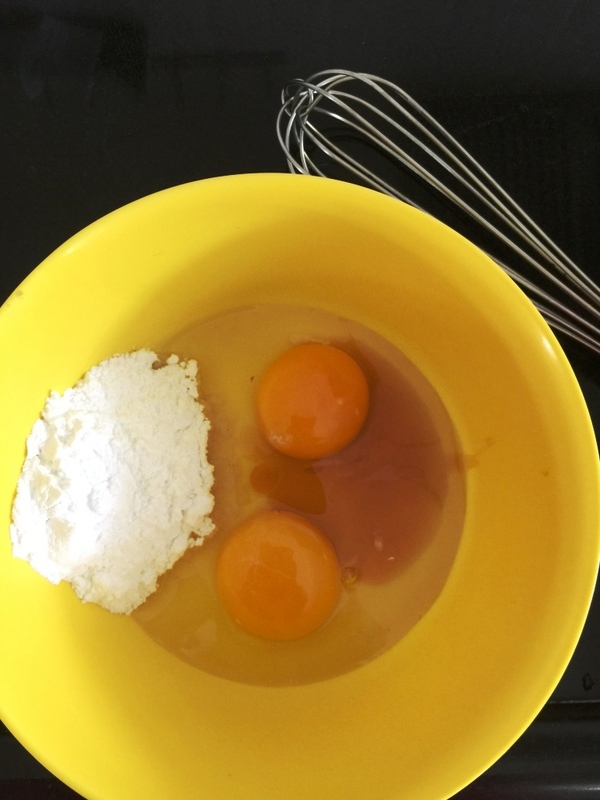 In a large bowl whisk together the eggs, powdered sugar and honey till well mixed and fluffy. 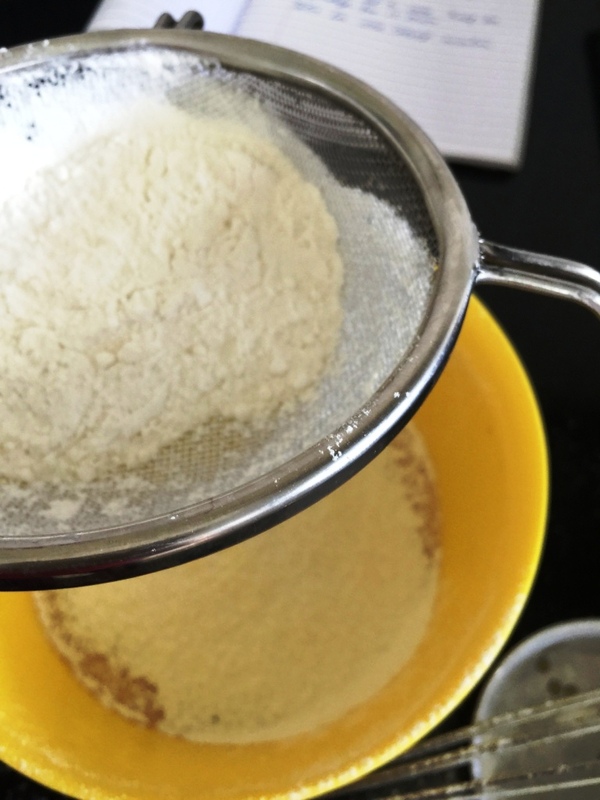 Sift flour over the egg mix, add baking powder and mix well till the mixture is smooth. 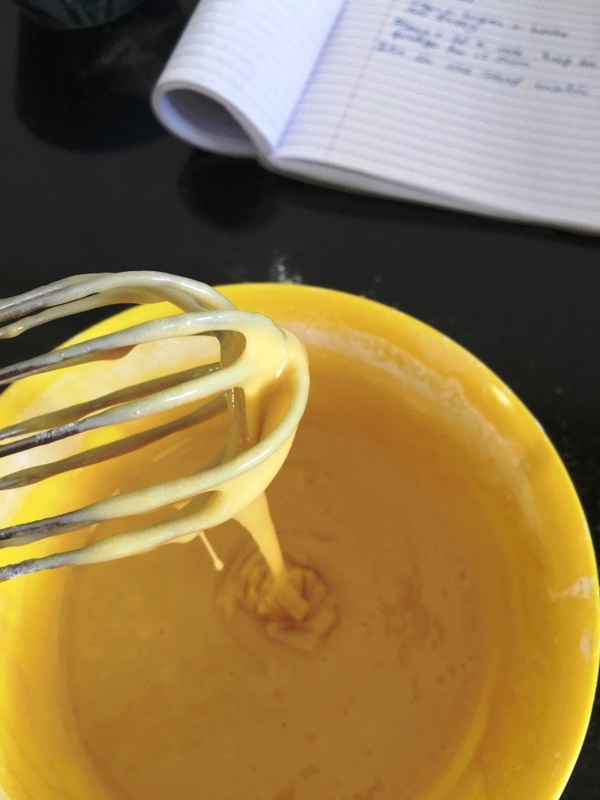 Add two tbsp water and mix well. 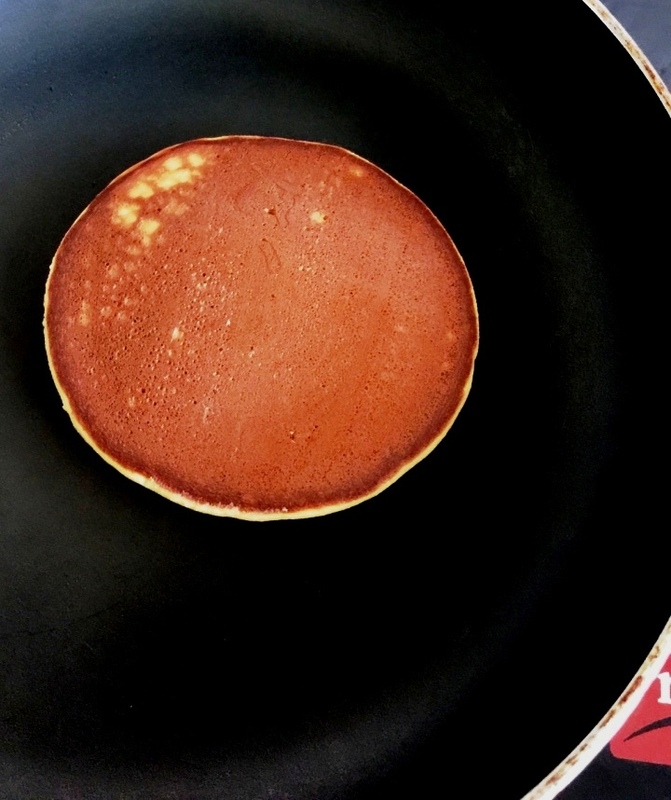 Heat a non stick pan on medium heat. Drop 2-3 drops of oil and spread all over with a tissue. With another tissue, wipe completely. 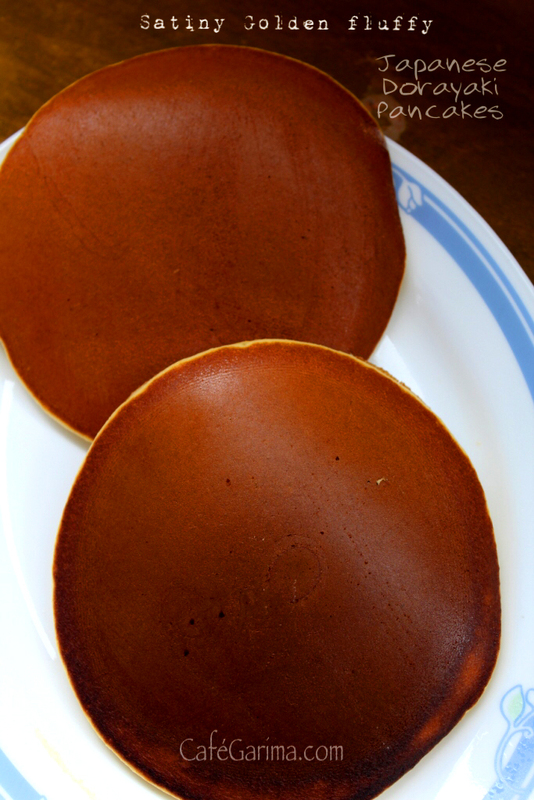 The dry oil free surface of the pan ensures the characteristic evenly browned surface of the Dorayaki pancakes. 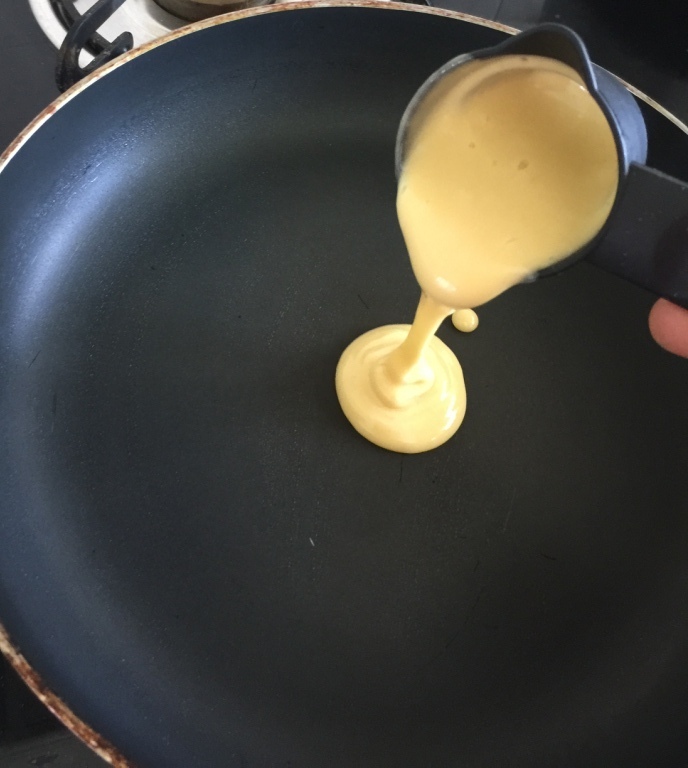 Pour ¼ cup of batter in the pan and cook on medium till bubbles form. It takes about a minute and a half. 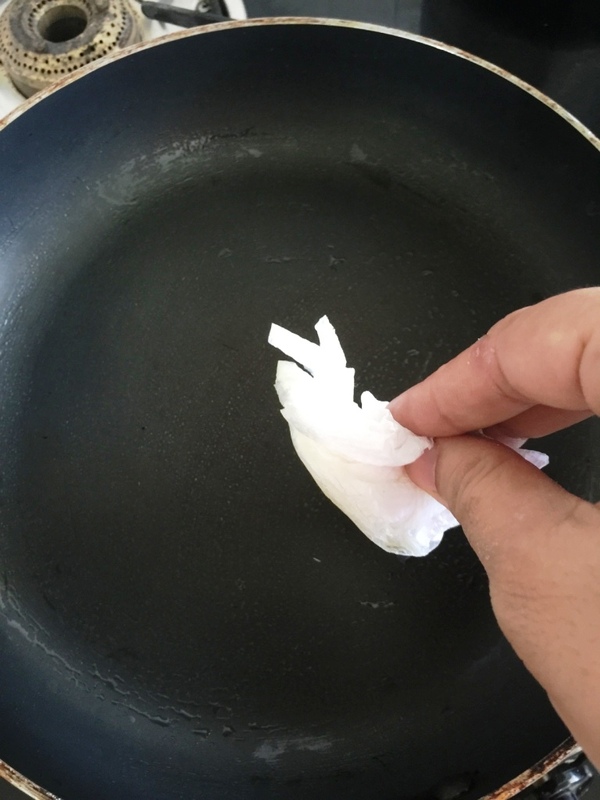 Flip and cook for thirty seconds. Keep the heat on medium and medium low throughout. They go from brown to black real quick! 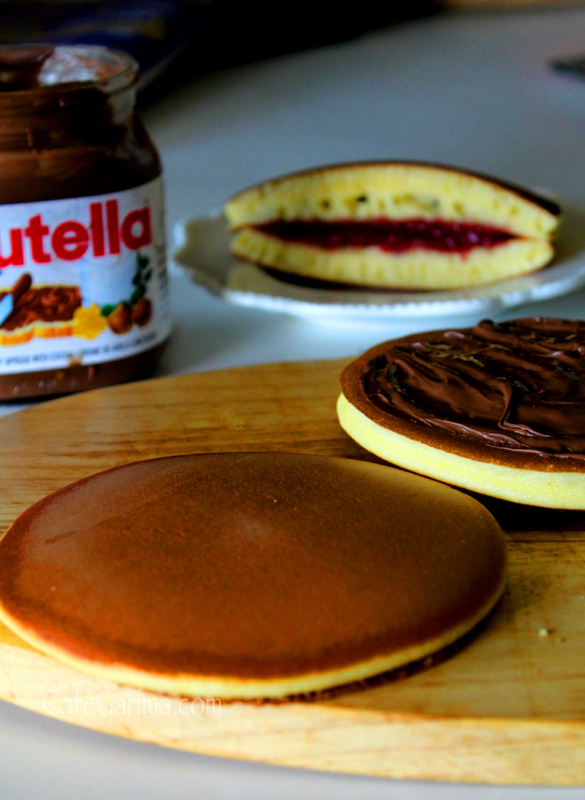 Make all the pancakes like this. 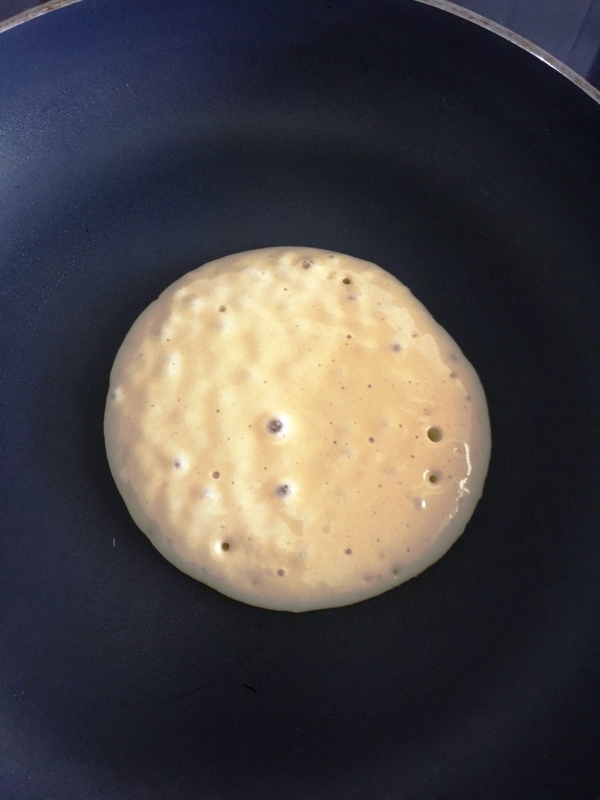 To serve, liberally spread the filling of your choice on one pancake, keeping the bottom side up. 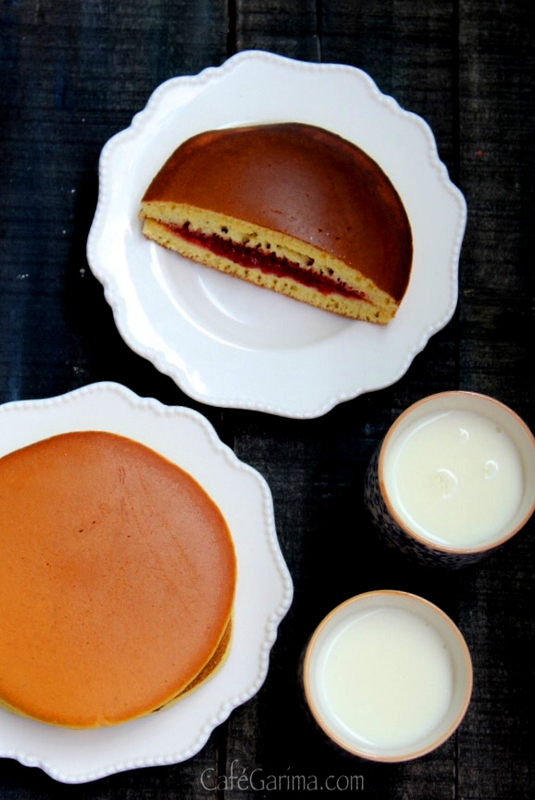 Top with the other pancake and serve. This is my entry to the Japanese cuisine challenge by Shaheen of Spoon Fork and Food at Chefs Across Boundaries. Thanks Shaheen, this was fun! I am also taking these yummy Dora Cakes to Angie’s Fiesta Friday, fun treats for a fun party!